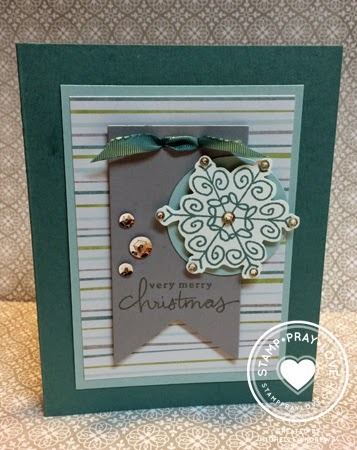 I love being a Stampin' Up! demonstrator! 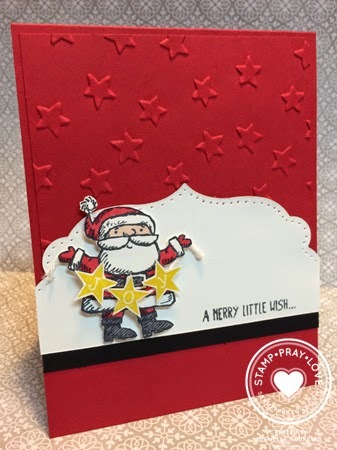 One of my most favourite things is being able to order and play with stamps and products before the catalogs are released. I especially get excited for the Holiday stamps. I know its a bit early, but I couldn't wait to play with a couple Christmas sets. Products from the Holiday Catalog will be available for purchase August 28th 2014. 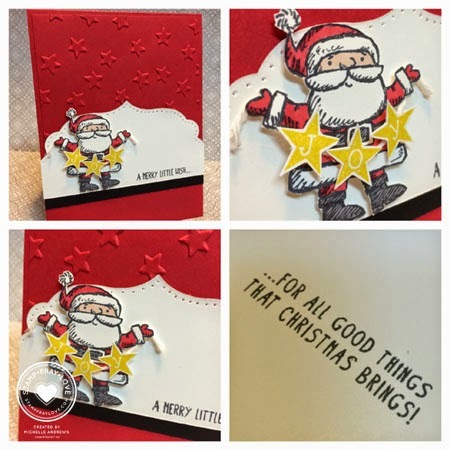 This cute Santa comes from a set called 'Get Your Santa On'. Blendabilities work perfectly for colouring this guy in. 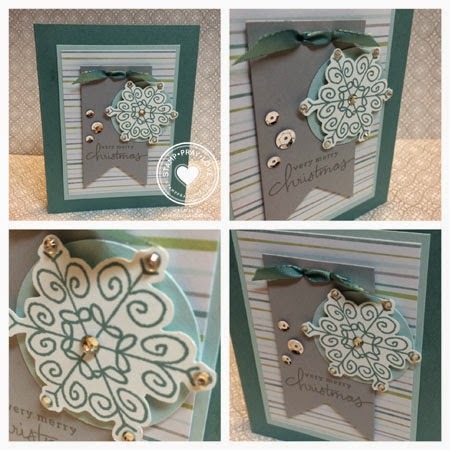 The stars embossing folder is also new. One of my favourite sets from last year made a come back to my excitement. Endless Wishes was a set released individually that had sold out. Both of these sets are Photopolymer. I still have a couple more sets I haven't had the chance to play with yet so stay tuned. If you would like to follow me on my Facebook page click HERE. I love this Santa card, it's so adorable! Hope you don't mind, but I loved your Santa card so much that I CASED it for a class I had recently. All the ladies loved it, so thank you. I did tell them that it wasn't my original idea, but apologies as on the day I couldn't remember your name. I just love these cards. I especially love the santa design. I just have to case it for my Consioder It cased week.